Messages from happy clients! These testimonials have been published by artists publicly on social media or casting sites. Alice Frankham [Genius: Picasso (National Geographic/Fox), The Royals (E!)]. Sam Simmons, Actor and On Air Personality, MTV, NBC, Evine Live. Thank you, Anthony @showreelediting, for the exceptional work you always do! Top quality! @showreelediting such an awesome job you did! Was super speedy and your advice was invaluable. Thank you so much!! If any of you #actors need your #Showreel put together or updated look no further than @showreelediting …genuinely goes above and beyond!! 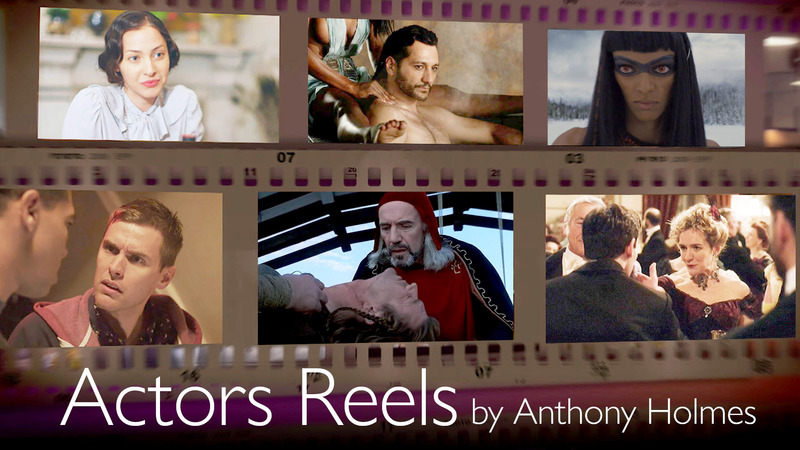 “creative, reliable, friendly and with an eye on the true purpose of a showreel; making the best use of the footage to increase an actors chance of being cast”. @showreelediting that’s amazing. Thanks so much! @showreelediting t.y. much for putting together. You need a great reel check him out! Gr8t quality, exclnt service, quick turn time! @showreelediting Cheers for your great work Anthony. @showreelediting thanks for your work. Great stuff.